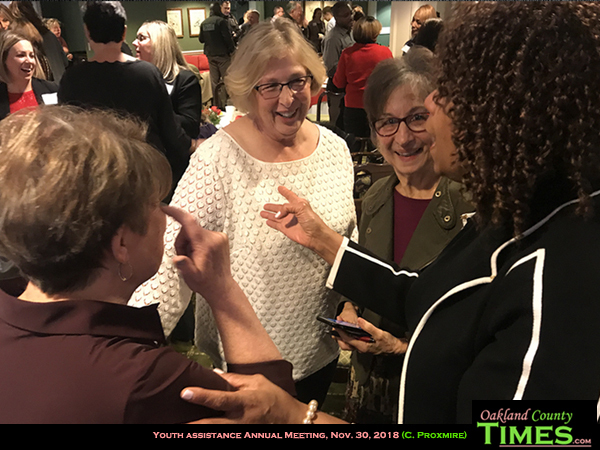 Oakland County, MI – Recently-retired Auburn Hills Police Chief Doreen Olko has seen firsthand what happens when kids are exposed to violence, poverty, or neglect. Often when young people find themselves in trouble with the law, it means something else is going on in their lives. 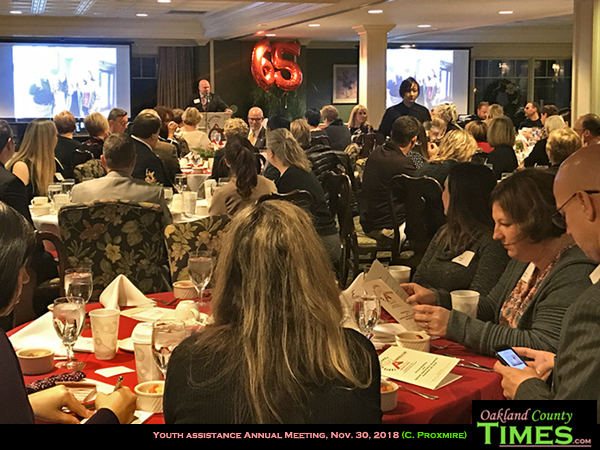 The mission of Youth Assistance is “to strengthen youth and families, and prevent and reduce the incidence of delinquency, neglect, and abuse through community involvement.” And they’ve been doing it for 65 years. 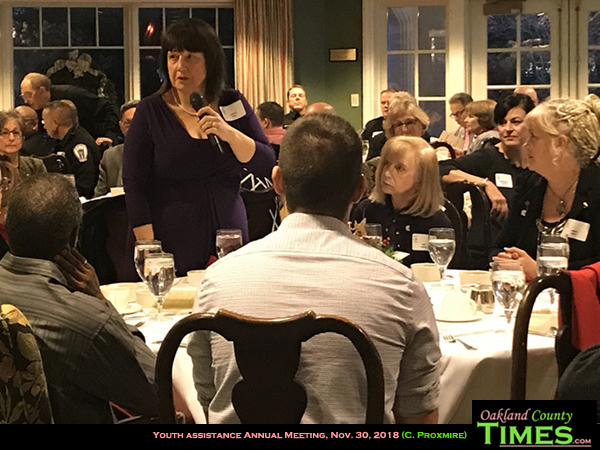 Olko was the keynote speaker at Friday’s Oakland County Youth Assistance Annual Meeting and Sponsor Appreciation Breakfast. She spoke of a lesson she learned early in her career, working as a patrol officer in Ingham County in the late 1970s. “As a police officer working in the street, you are dispatched to a wide variety of calls – not uncommonly to calls of family violence,” she said. “There are almost always children present. “I was an officer before domestic violence laws, when police could not make an arrest for an assault they did not witness. Often our only option was to counsel. Failing that, we packed up women and crying children in the middle of the night to move them to homes of friends and relatives. “In one instance we had a case of a girl we met over and over because she started running away beginning at a very young age. Her name was Sarah. She became involved in a series of low level criminal incidents and developed associates that were not in her best interests. Her attitude was defiant and sometimes she was assaultive. We took her home, over and over. “Her mother was dead and she lived with her father and younger siblings. At the time I saw my job as responsible for returning her home and moving on to the next call… What we didn’t know was that she was being sexually abused by her father on a regular basis. She never told us, likely because we never asked her in a way or at a time that would have encouraged a truthful answer. And we had no resource to refer her to. 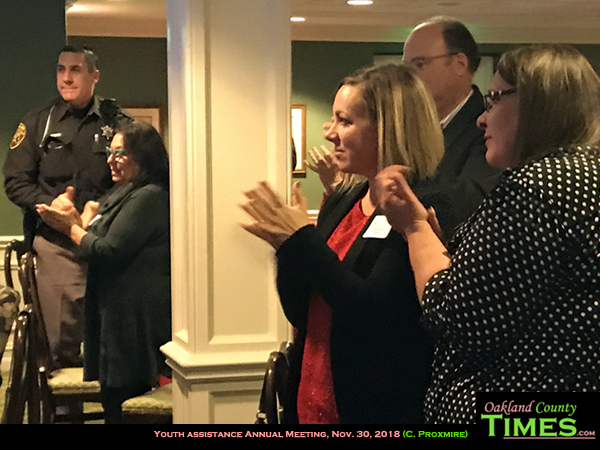 Chief Olko said that programs like Youth Assistance make situations like Sarah’s play-out much differently. Officers are more away of family needs and they have the tools to help, and children and their guardians have a potential path to making things better. 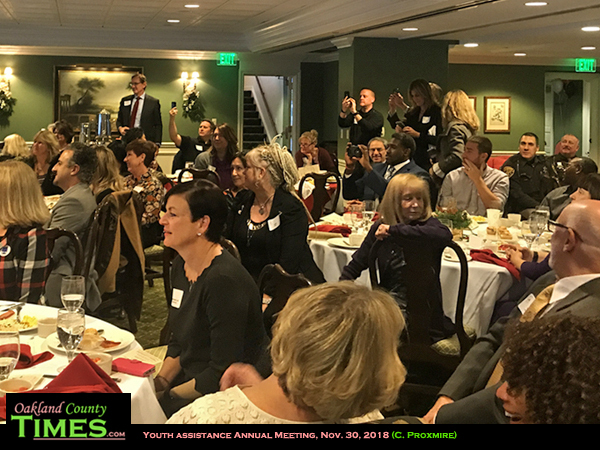 Youth Assistance is a program that started in Hazel Park in 1953 to help with delinquency problems. It includes having a case worker to help kids and families with counseling and resources, as well as offering workshops for parents and kids to teach skills to help them cope with stress and navigate life’s problems. 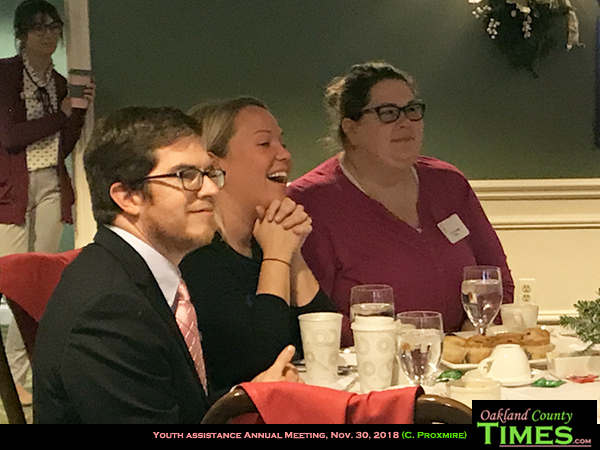 There is also a mentorship program, activities for youth, award programs for young people who may not be as often recognized as achievers, and support services like having someone there to help with homework. 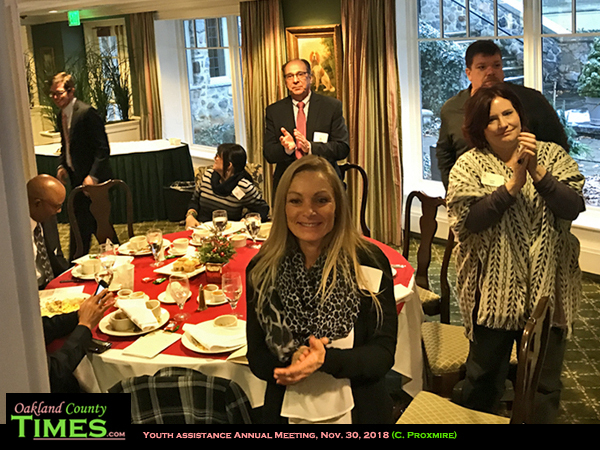 Hazel Park Youth Assistance was so successful that Farmington, Madison Heights, Rochester, Royal Oak, Southfield and Troy started their own a few years later. 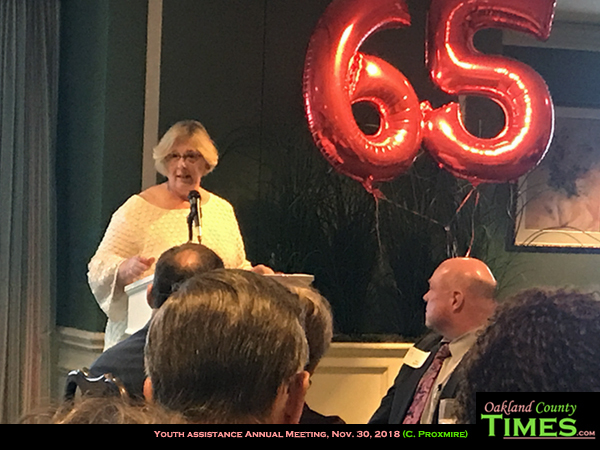 Between 1953 and 1983, 26 Youth Assistance Chapters opened through the county, and a county-wide Coordinating Council was formed to help serve all the chapters. 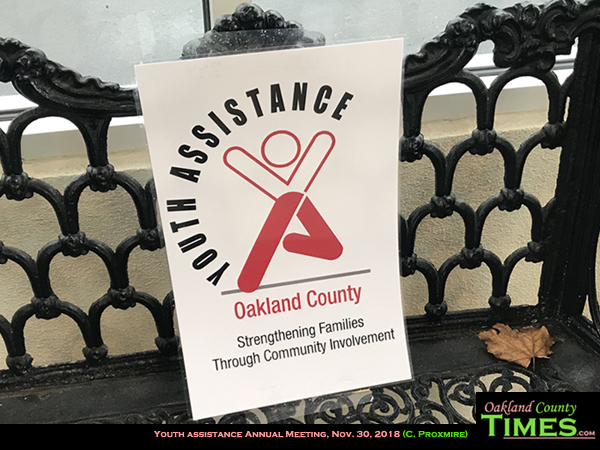 Youth Assistance is a program unique to Oakland County, but it has inspired similar groups to form throughout the country. When Olko came to the Auburn Hills Police Department she gradually learned more and more about the organization. 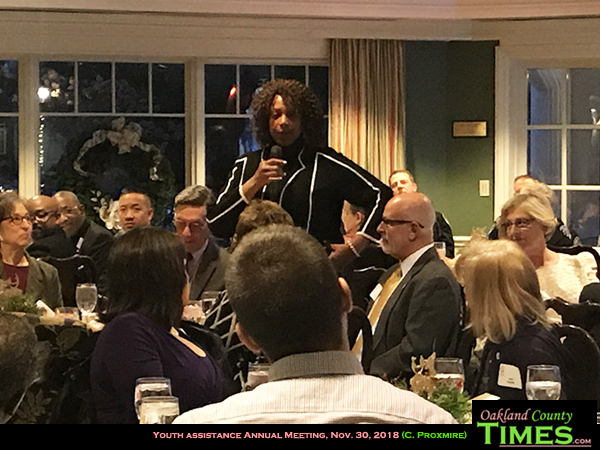 “I learned that Youth Assistance brings together caring adults with a critical mission – to provide social support for kids before they reach the criminal justice system,” she said. 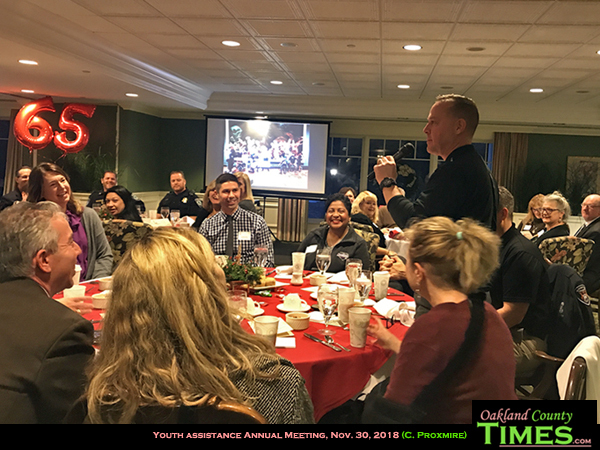 Olko shared information from a study conducted by the International Association of Chiefs of Police, the Child Study Center at the Yale School of Medicine, and the Office of Juvenile Justice and Delinquency Prevention in the US Department of Justice. The study found that children not identified and supported in recovery following exposure to violence are at greater risk for school failure, anxiety, depression, post traumatic stress disorder, personality disorders, involvement with the juvenile and criminal justice systems, repeated victimization and perpetration of violence, higher rates of chronic physical illness, and early death. “I saw those outcomes up close throughout my police career. What I didn’t clearly understand was the close relationship between those violent events and the long term impact on the kids,” Olko said. In 2017 Youth Assistance was able to send 1,690 kids to camp or skill-building programs. 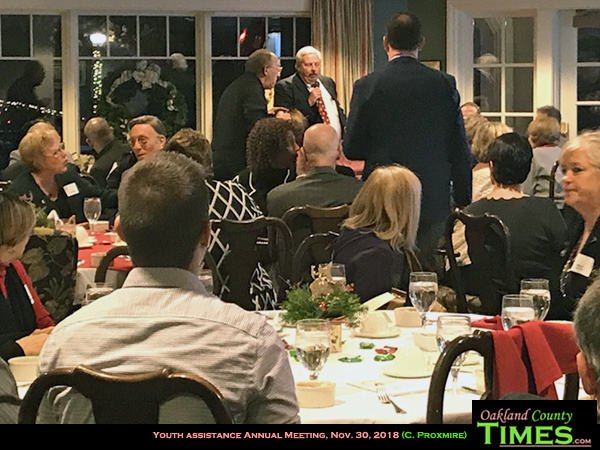 School districts and municipalities contributed a total of $1.3 million to help support Youth Assistance programs. 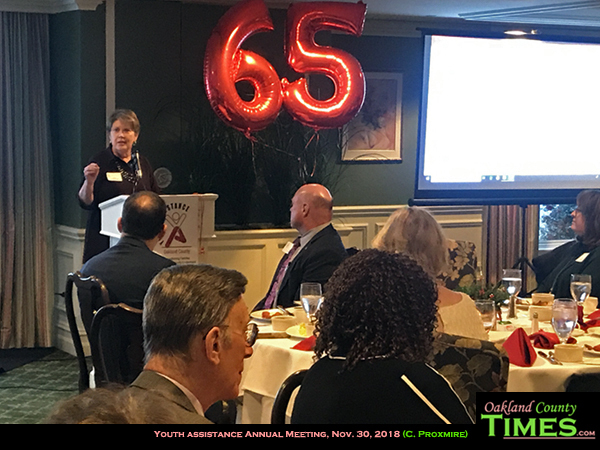 7,204 young people participated in Youth Assistance sponsored activities. 1,986 parents took part in Family Education Programs. 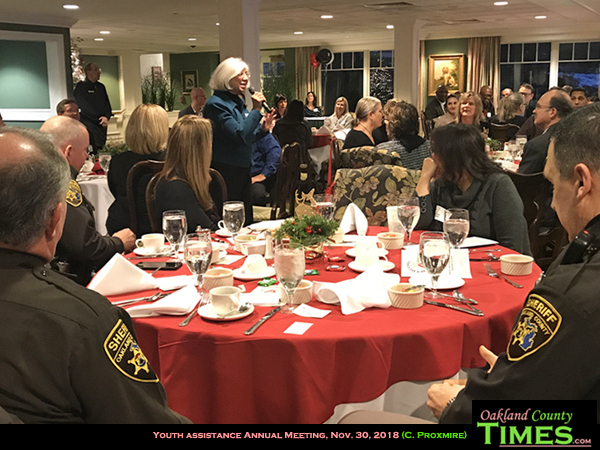 And volunteers across the County contributed 39,617 hours of their valuable time to help support the kids in their community. 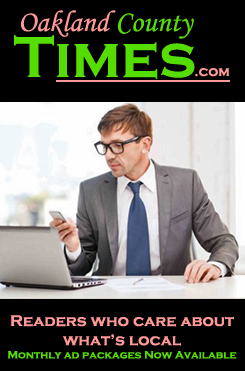 That’s because Dr. Simony and his staff stepped up to help. They worked with William over several months, using a progression of braces to gradually bring his smile to life, a process that is helping William to be more confident in all aspects of life. 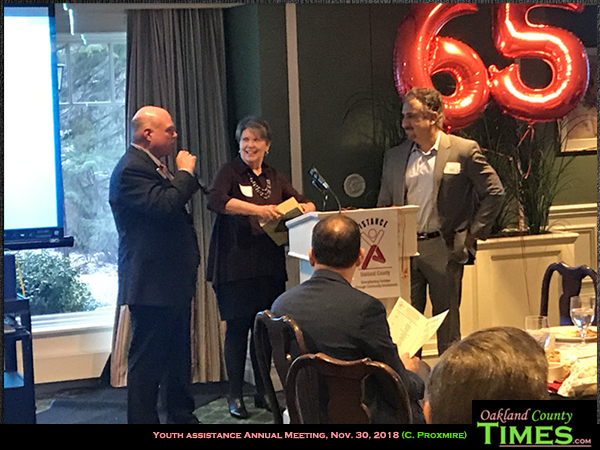 Dr. Simony was awarded a Champion of Youth Award at Friday’s event. 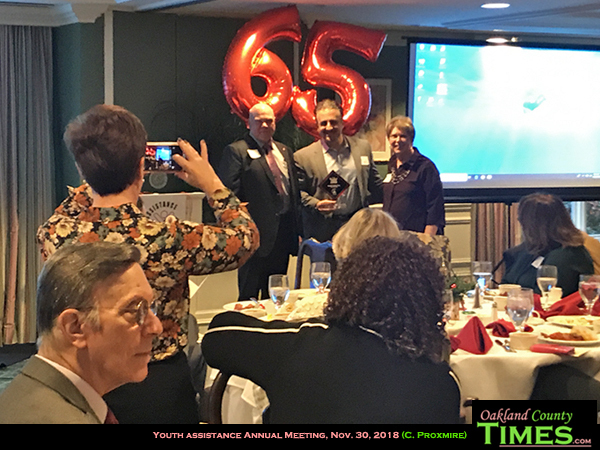 The other Champion of Youth Award went to Bloomfield Township Police Officer David VanKerckhove and all the students who helped with a special project. 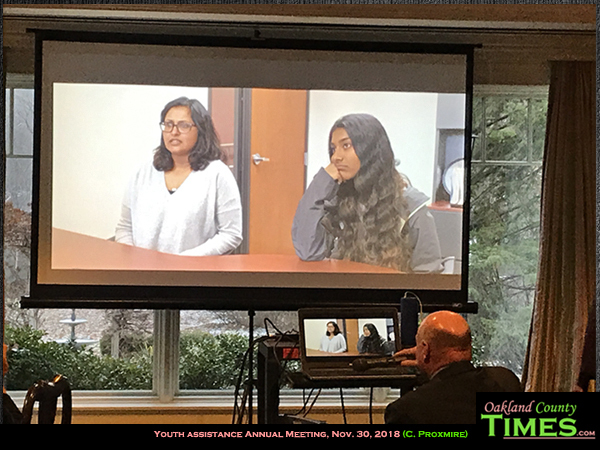 For years Youth Assistance groups used a video about shoplifting that was seriously outdated. Volunteers would joke about the bad sound effects and the 1980s fashions. “Kids aren’t stealing 8 track tapes anymore,” teased one of the volunteers. This year Officer VanKerckhove stepped up with the idea to have kids from Bloomfield High School re-do the video. 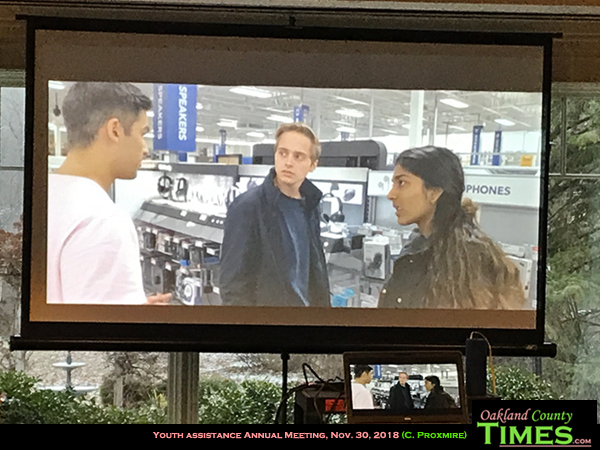 The young people filmed scenes inside the school, the courthouse, the jail, and even inside a local store to give a more modern version. This video is now being used all over the county to help families understand this problem. 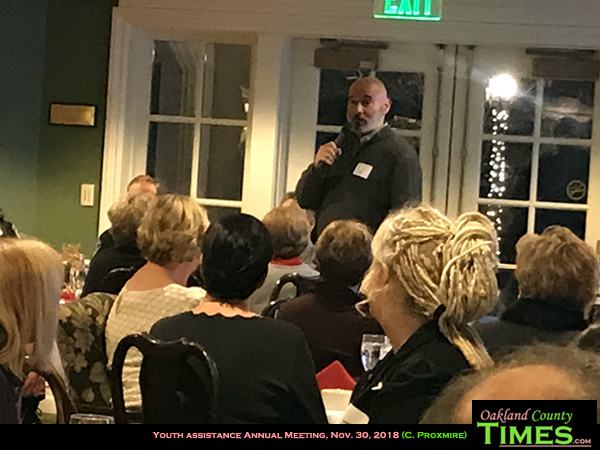 Officer Kerckhove accepted the award on behalf of the teens, and they young actors will also be surprised with Amazon gift cards. The event was also a celebration of the people who are part of making kids’ lives better. 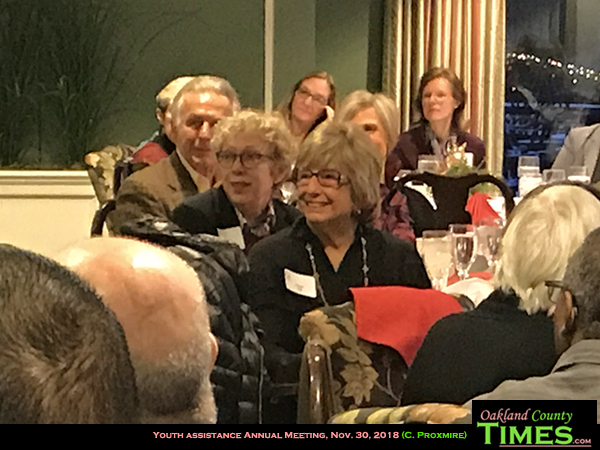 With scores of volunteers in the room, plus elected officials, those in the court system, and those from police departments and school districts, it’s clear how communities work together to help. 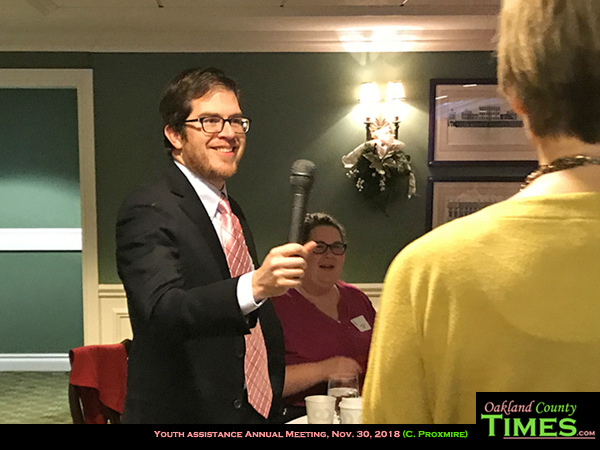 Youth Assistance welcomes donations, be they financial or of time. 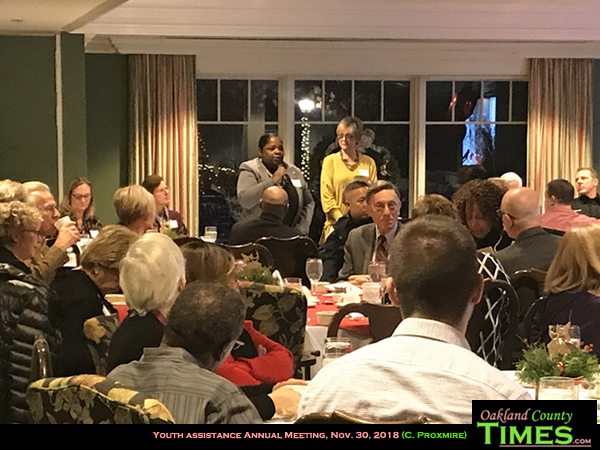 Learn more about the Mentors Plus program and other ways to get involved at the Oakland County Youth Assistance Website.